No smoke, no sweat. Our range of gas barbecues makes outdoor entertaining a breeze. We’ve covered everything you need for easy barbecuing – electronic ignition, large cooking areas, easy grease collection, warming racks and minimal maintenance too. 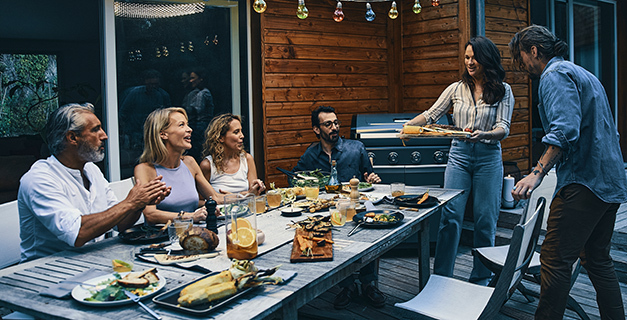 So whether you want flare-free lateral burners or a Spanish-style Plancha cooking plate, stainless steel styling or a classic wood finish, our barbecues offer all the options. Meanwhile, our accessories make effortless cooking easy.